Greetings, Dear One, it is I, Christ. My beloved Mary is here as well. We wish to say to each of you that the energy that is upon this planet at this time is currently filled with the frequency of Divine Cosmic Love. As we have told you before, Mary and I are holding the template for the sacred union for the twin flames to reemerge upon this planet. And the sacred contracts that are being brought forward amongst each soul is now being unified. Know that the sacred contracts within each individual are also being unified as well. And so today, we ask you to begin to call in this divine frequency of the sacred union, of the Divine Union, of the essence of your own twin flame. To begin to call in the frequency of the sacred union within yourself as you call in this frequency with your beloved twin flame. Many have confusion about the twin flame reunification, and we say to you, Dear One, that it is the Divine Self, the Holy Self, the Sacred Self that is now coming together in union, and then, and only then, will it manifest into the physical, into the physical form of another individual soul. For each of you were created of a divine spark of light, just as Mary and I were sparked from the same source of light, and yet we diversified our frequency until it was time for us to reunify and come together as twin flames, to then merge into our sacred contract. It does not necessarily mean that the union is one of bliss or divine perfection, it simply means that you’ve come together in sacred purpose and sacred form, to complete the contract that you have agreed to do as your beautiful spirits. As many may know, Mary and I had our own differences. And we had our own influences. And yet, our true purpose was to serve humanity and the Living God that lives inside of each of you. And so I ask you to call in your sacred mission and begin to breathe in this essence of your Divine Self, calling in this sacred union within yourself, and beginning to call forth the light that will sustain you to complete your sacred contract, with or without your twin flame. Allowing the sacred contract to come forth within you as a spark of light inside of you, begins to emerge through you, simply allowing yourself to begin to feel the passion and the reunification of the energy that is living inside of you. 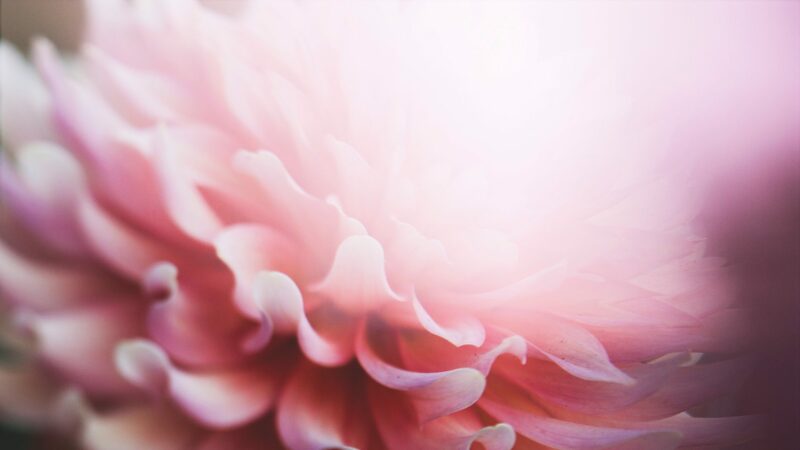 So I ask you to take a deep inhaling breath, and breathe this frequency in, and breathe in the light of the spark of God that now will begin to call forth the passion, the sacred passion that unifies the essence of your Divine Self. And so please take a deep breath, and breathe in this frequency, and breathe in the love, and breathe in the peace, and breathe in the joy, and breathe in the freedom. Step forward now into the light that we are bringing to you at this time. Yes, Mary and I are stepping forward, and we are bringing to you the sacred light of your beautiful spirit, so that you can begin to feel the light and the passion inside of you swirling and intensifying. Some may call this the energy of the awakening of the Christ Consciousness within you, some may call it the spark of God awakening within you, some may call it the elixir of life awakening within you, some of you may call it being reborn again, and yet, Dear Ones, it is the spark of life, of your divine holy sacred self that is awakening to the energy and the essence of who you truly are. And so today, as you stand in this frequency and as you hold this light, know that my Mary and I stand with you, and we stand beside you. And we are here supporting you and your sacred contract. We are here supporting your reconnection with your Divine Twin Flame, as we pointed out, because indeed, it is time for all to step forward into union with themselves and with their Divine Twin Flame. This planet is in need of assistance of the twin flame reunification, because it is with the sacred balance that this planet shall return to its original state of peace, love, harmony, and balance. I will step back and allow my Mary to finish this message. I say to you that I am calling forth the sacred union as we are awakening your heart chakras to receive, so that you may feel the love, the healing, and the light that is so needed upon your soul. 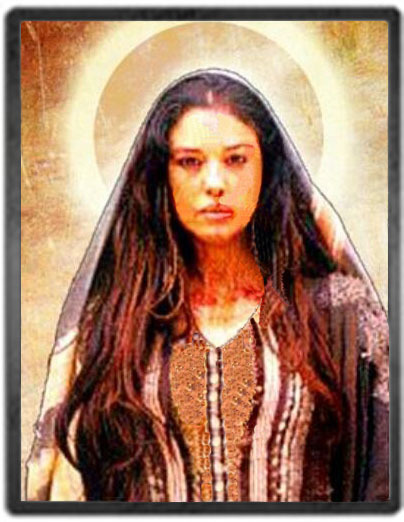 Greetings, my beloveds, yes, it is I, Mary Magdalene. Just as Yeshua had spoken, we wish for you to understand at this time the power of love that is now being emitted upon this planet. So much energy that is being focused at this time for the planet to return to peace and love. For all souls to reunify and be in balance. There are more and more beings of light that are opening to the cosmic frequency of divine love and light than you can realize. Begin to feel this energy as the energy is being sent out upon the world. Begin to call it in your vessel, as Yeshua has said, so that you may complete your sacred mission. So many have been confused about why they are here, why they came to this planet, perhaps the planet is beyond saving. Perhaps their mission has gone awry. We tell you no, the planet will continue to thrive and survive and return to its original state of beauty and peace, and if you so choose, you will step forward on your pathway and reunify with the love that’s within your heart, that you agreed to do when you first stepped forward as a beautiful spirit on the Earth plane. At the time of your inception, the time that you chose to come to the Earth plane, with the Great Conclave, and my beloved Yeshua asked for the core volunteers, the enthusiasm and passion that you came to bring is now ignited once again. That you hold the passion, the excitement, and the enthusiasm that you so need to complete your mission. And so, do not allow complacency, do not allow fear, to interfere with that which you are bringing forward. Know at this time, that the heart of Mother Earth and the love of the great cosmic light of the Great Creator Source is standing with you and holding you in this powerful frequency of Divine Mother Love. The energy of the Sacred Feminine, the energy of Mother Love, is supporting you as you move forward to say yes, once again, to feel the love and the balance of your beautiful spirit, of your blessed soul, and yes, your own physicality, personality, and soul essence. And so please take a deep inhaling breath, and begin to breathe in this light, and this cosmic love that we are sending you today to reunify with yourself, so that you may partner with yourself and return to love, be love, hold love, and exemplify the frequency of a balanced physical/spiritual being of light. And so call in the energy, call in the peace and call in the tranquility and call in the joy. Remember, as you hold this light within your body, that you are holding the light and the template that Yeshua and I held for you over 2,000 years ago, and we continue to hold it until each of you are able to walk into our footprints and be the balanced female/male energy in your own physicality, and then you will be able to walk in balance with your own beloved twin flame. This is truly a time of reunification, the planet is in need of all souls to reunify, and regardless of what you see in the world, you are to hold your own light as powerfully and strongly and effervescently as possible, as you return to love, return to love, return to love. Let every cell, every fiber, every pore of your being be filled with the White Light of God, and return to love. During those times when Yeshua was away, and I was in need of balancing myself, I would sit quietly and call in the light and the balance in every cell of my body until I was able to feel strong again, complete again, in my own original forcefield of energy. So begin to feel this frequency and feel the love and feel the joy as you allow your heart to open and your mind to be healed, knowing that the essence and the light that you are shines so profoundly and so deeply within your own soul essence. We ask you to be the change you wish to see, be the change you wish to see. Can you feel the light that we are merging through you to illuminate into your being? Through your physical vessel, through your eyes, through the pores of your skin, out into your auric field, your merkabic field, and into your soul’s essence. And as a multi-dimensional being of light, you are affecting so many by returning to balance. We speak of this often because this is the message of the day, it is of great importance and great significance that you be able to hold the frequency within yourself, and hold the light, and reunify. You’ve lived in this state of balance before, you shall return to balance once again. It is why Yeshua and I continue to hold the frequency for all of you, as if we are holding the space of love for all of you to feel self-love, to feel the deep commitment that you had agreed so long ago to come to this Earth plane, to reawaken and to emulate the balance that lives inside of your being. We know that the Earth plane can be quite daunting, in all of its trials and tribulations, but as you hold the energy of love, there is great power, there is great power. And so hold the template for the love for this planet. Hold the template for the love for yourself and your journey, hold the template for the world at large, for all humans, all lifeforms. For your government leaders, for your world affairs, for all that are suffering. Hold the template of love, and it will change the world. It is a powerful frequency, that is why we speak of it and we continue to speak of it, and why we ask you to unify with your Divine Self, to return to balance. So that you may come forward into your sacred contract and be at peace. And there, as you unify with your beloved twin flame, there is power in numbers, as they say. Coming together, bringing the love, and sharing it with the world. Today, as you hold this frequency inside of yourself, let your light shine so others may see, allow yourself to be that pure vessel and that template of love. We know it is difficult in your modern times to overcome all that one struggles with, so that’s why we are consistent and we are here to help you, and we shall never abandon you, and we will always stand with you, until you are able to receive this sacred balance and unification within yourself. That was our purpose, no more, no less, than help humanity return to love. To be at peace, and truly forgive, allowing your heart to open to the Divine, Cosmic Love, in which you were created. Do not allow the influence of others to affect you, do not allow the influence of your own thoughtforms to affect you, simply call in this frequency, and be at peace, knowing that your heart is opened to Divine, Cosmic Grace. And so I ask you, Dearest Children, to take a deep, inhaling breath, and begin to breathe in the energy of the White Light of God, and feel the frequency of peace upon your soul. As you are living in a state of like a mantra of peace. You are a walking model of peace, you are a living example of all that is and all that shall be. May peace be with you. May love be with you, may the heart of your heart be with you, may the love and the joy stand alone within your heart, love and joy. And so you awaken to this template and this frequency that we call back home to you, because we are infusing this within your vessel, and so call it within your vessel, call it in your home, and feel the light and the love that is so needed upon this Earth plane. Again, Dearest Children, we stand beside you and we stand with you, Yeshua is on your right, and I am on your left. And we stand with you, and as each individual receives this upon this day, they will begin to shift in their consciousness and feel more and more and more love emanating from their being. And the world will respond, Mother Earth shall respond, and the change that you wish to be, that you wish to see, shall come forth. And so, Dear One, it begins with each of you, one soul at a time, to take the responsibility within your own hands, to clear you own energetic frequency, and hold the template of your being with the purest of love that you can possibly hold. And be the change you wish to see. So step forward now into this remembrance that you are Divine Light, and you are Divine Love, and you are Divine Peace, and you are Divine Tranquility. This is truth, you are created in the image of the Creator, in love. No more, no less. This is the purity of your soul, this is the essence of your spirit. And so remember who you are. Remember your sacred contract as you hold yourself as the template, as a beacon of light to help others to awaken to the true essence of their being. Go forward with the understanding that all is in order and all is as it should be. Yeshua and I come always together in Sacred Union, and we shall remain together in Sacred Union to serve you, to serve the Living God inside of you, so that you may step forward into the light and the brilliance of who you truly are. This is a day that God has made, it is good, and it is rich. So allow your heart to open to this powerful, powerful frequency of love. Can you feel it? Can you sense it? And can you truly allow it to awaken you? So that you may find the balance inside of yourself, and reunify with your Divine, Sacred Self. So that you may find the peace and the love that’s inside of yourself, that will then mirror and bring to you your beloved Twin Flame. It is a beautiful reunion with my Dear Yeshua, I am honored, I am blessed, and what we hold together in this reunification is the warmth of the love of All That Is. And so until enough souls make the choice to awaken, to allow this to be within their consciousness, to consciously choose reunification within themselves, they will not be able to find the peace and the love that they so desire. And so this is why we come and why we continue to speak of this often, and why we wish to share this with the world. Go now, my children, and understand, again, that all is in order, and all is as it should be. We are preparing you one individual at a time to take the hand of your brother and sister and to help them, and to be the wayshower and the messenger of light, and the beacon of light, to help awaken all so that beloved peace may return to this planet. We stand with you, and we open your beautiful heart chakra, and we open your crown chakra, and your Earth star chakra, and we anchor you into this energy of Mother Earth. Into the Living Light of All That Is. Go now, my children, and be at peace, for Yeshua and I send you our beloved light, our beloved love, and hope and renewal, as you reunify within your sacred self, and fall deeply in love within yourself, loving yourself so that you are able to shine the light of love for all to see. Go now, my children, and be at peace.